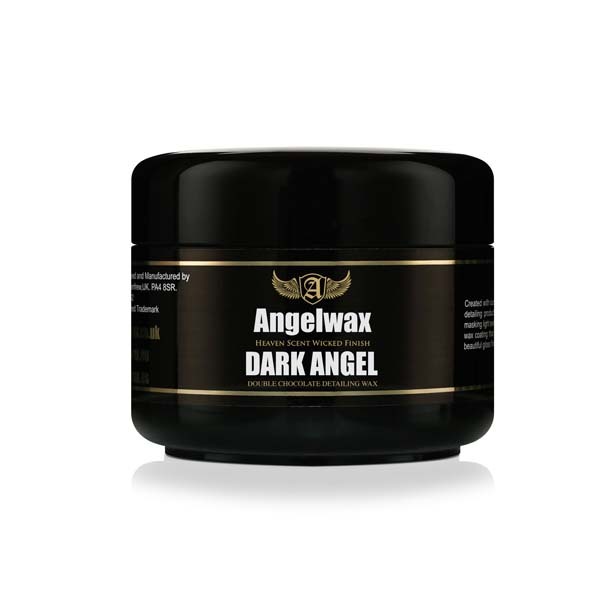 DARK ANGEL from Angelwax is the ultimate handmade wax product for black vehicles. Created with our unique blend of natural oils and waxes, this specialist detailing product has been designed to enrich dark paint surfaces by masking light swirls and scratches whilst providing a tough, highly durable wax coating that gives outstanding sheeting & beading properties with a beautiful gloss finish. Application: For outstanding results, ensure that the surface to be treated has been thoroughly prepared before use. Apply DARK ANGEL to one panel at a time using a clean, dry microfibre pad or foam applicator. Allow at least 2 minutes for the wax to cure to the bodywork before removing with a clean, dry microfibre cloth.